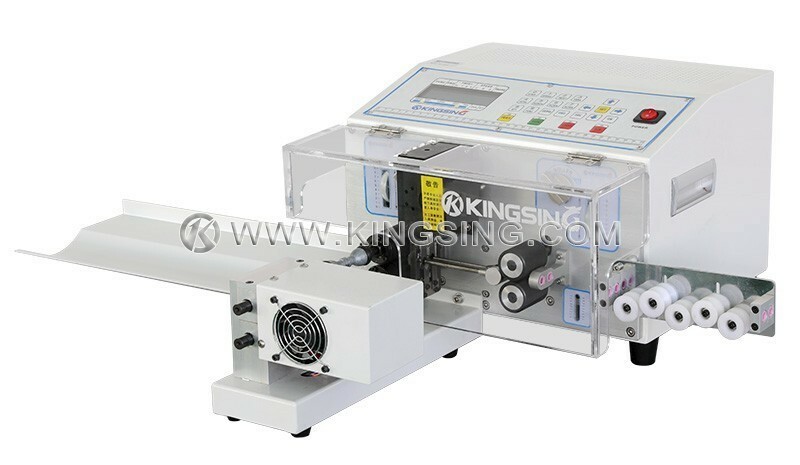 KS-W615 is specially designed for BVR multi strands conductors. 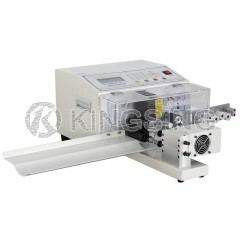 Integrated function of cutting, stripping and twisting makes this machine very popular in wire processing market. Twisting position, twisting strength and twisting speed are both can be adjusted in the program. 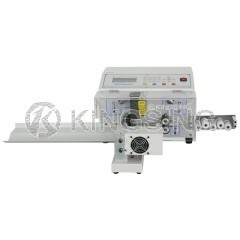 With perfect twisting effect, this machine performs much better than any other brand machines. 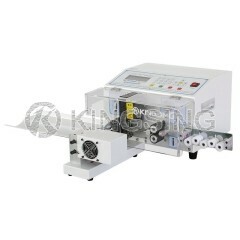 In addition, the twisting function can be shut down to complete singe head twisting or non-twisting. 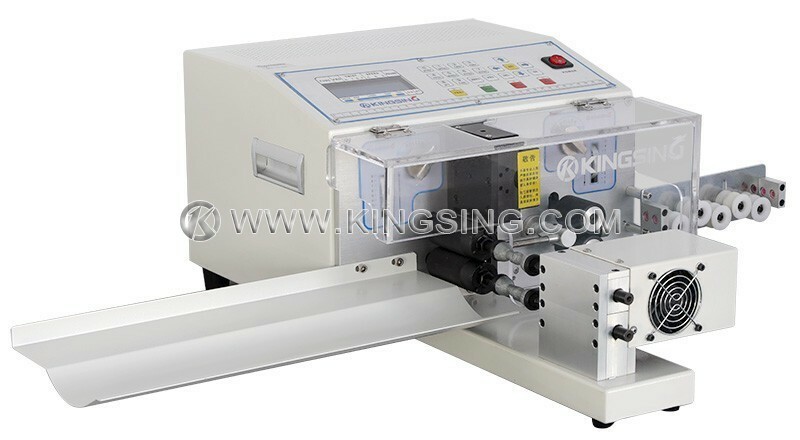 Automatic conduit jumping function, which is controlled by step motor, allow longer stripping length than normal machines. Conduit initial angle and jumping height can be set in the program, no manual adjustment is needed. 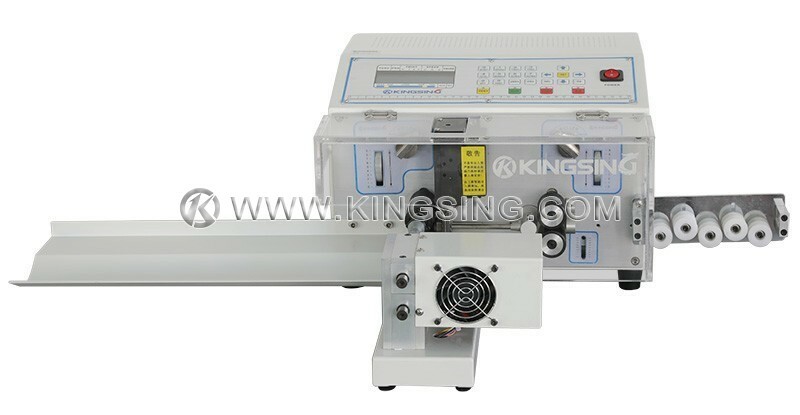 Powerful program function, support full strip, half strip, middle strip, multi-section strip, 3-layer strip, etc. meanwhile, the machine has 99 sets of memory function which can save different parameters to different program number, very convenient for reuse.